I love when I get to work with fellow creatives and artist! 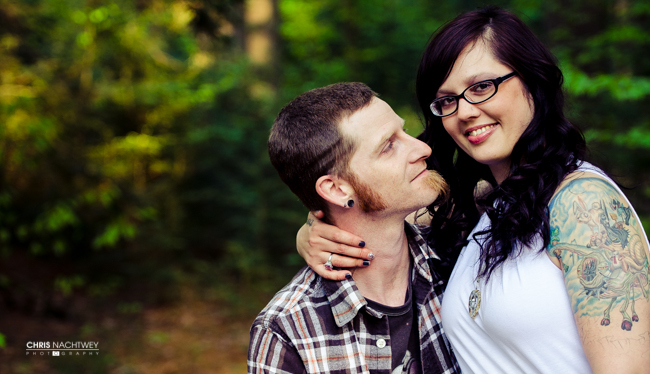 Jess and Red are both awesome tattoo artist at Hartford County Tattoo and I'm stoked to shoot their wedding this August at Bunnell Farm in the beautiful Litchfield, Connecticut. First, you need to have an engagement session! I include an engagement session with all my wedding packages. I feel it's the best way for my couples to learn how I pose, and it helps them be more comfortable on the wedding day! Plus, engagement sessions are just plain fun! Jess and Red rocked this session like pro's and I love the images we made! We met up at Massacoe State Forest in Simsbury, Connecticut and walked around the forest capturing their love, and free spirits.